1 What is a VIN (Vehicle Identification Number)? Vehicle identification number (VIN) refers to the identifying code for a particular automobile. It’s accurately referred to as your vehicle’s fingerprint. It is unique for every automobile and sets your car apart from others. The VIN is a 17 digit number that provides a means to trace your vehicle right from the factory to the junk yard. It can also be used to trace registrations, thefts, warranty claims, insurance coverage and track recalls. The information provided by the VIN is known as the Vehicle History Report and is drawn from a large range of databases. At Autocheck, vehicle information is gathered from different sources, accumulated and then managed by Experian (an expert in credit and automobile services) with the goal of helping their client to make wise financial decisions. With Autocheck, you can easily access your vehicle history right on your iPhone or Android device. There is an app for Apple and Android devices that lets you get the vehicle history anytime, anywhere. 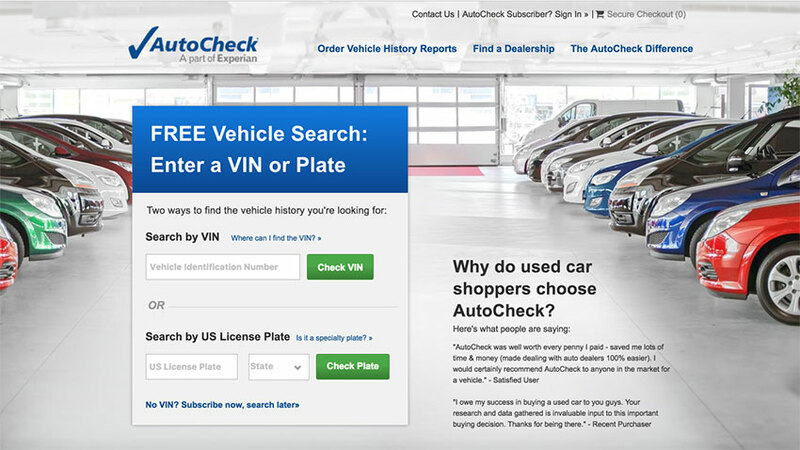 Once you subscribe to Autocheck, you can run unlimited VIN reports from any mobile device, tablet or web browser. All Autocheck vehicle reports include an AutoCheck Score that is designed to help you evaluate the predicted reliability of a vehicle and compare it to similar cars in its class. Autocheck has access to collision records through police reports and other data sources. They also obtain event data from salvage yards and insurance carriers, junk yards, etc. There is buyback protection for registered vehicles that qualify, which serves as a means of protection against title brands that are unreported. AutoCheck subscriptions cost around $30. NMVTIS is another website where a vehicle history report can be obtained. It was established with the assistance of the Federal Government and cost about $2 to $7. 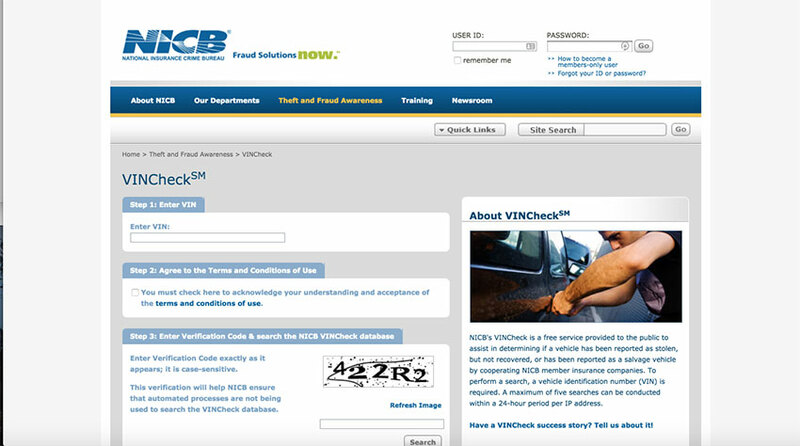 It was set up due to the data hole associated with other VIN check websites. The title information provided by NMVTIS is drawn from different participating motor vehicle registries, and right now it presents 88% US DMV data. NMVTIS is the run by the Federal Department of Justice. Every insurance carrier, junk yard, auto recycler, and salvage yard is mandated by Federal law to report regularly to the NMVTIS. This is a free VIN check service offered to the general public for help in determining if a car that was reported stolen was not recovered. It can also help to ascertain whether a vehicle has been reported as a salvage vehicle by NICB insurance companies. A VIN is needed to carry out the search. For a particular IP address, a maximum of five searches can be made within a 24-hour period. 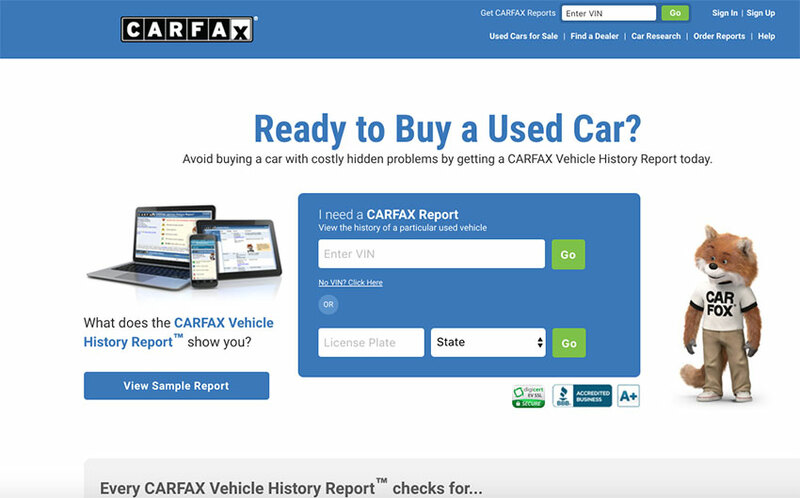 CARFAX provides a comprehensive vehicle history report from their large database. They receive information from over 91,000 data sources, including every Canadian and US provincial or state motor vehicle agency. They also obtain data from auto auctions, rental agencies, fire and police departments, fleet management, collision repair facilities, rental agencies and many more. On CARFAX vehicle history reports are available for light trucks and used cars as far back as the year 1981. CARFAX also offers an exclusive Buyback Guarantee that will significantly reduce the risk of buying a used car. If the Report did not include a branded title that is issued by DMV (like flood damage, fire damage salvage and odometer problems), CARFAX would buy the vehicle back at the full purchase price. The CARFAX Lemon Check is free and can be used as a check to avoid cars with problems. The MyCARFAX app makes it easier to obtain your vehicle history report. An added advantage is that with your license plate or VIN, CARFAX has access to the maintenance schedules, service records, open recalls and a lot more. With this you can receive alerts from CARFAX when your car is due for service, thereby keeping you and your passengers safe. The MyCARFAX app makes it easier to obtain your vehicle history report. An added advantage is that with your license plate or VIN, CARFAX has access to the maintenance schedules, service records, open recalls and a lot more. With this you can receive alerts from CARFAX when your car is due for service, thereby keeping you and your passengers safe. The Vehicle Report History is important if you are buying or selling a used car. Make sure you obtain it before you buy a used car, as it can help you determine if the car is right for you and expose any potential safety issues that the vehicle may have.